With Autumn just around the corner I'm knitting lots of hats & building musk ox knitwear stock for my Christmas sales that are approaching so fast ! I have a new Website www.absoluteshetland.websiteanimal.com for all my Shetland yarns & knitwear so please check that out soon ! While browsing around the web I found a wonderful Youtuber who has really great Tutorial video's for all her hat patterns & her patterns so far have worked Beautifully with my light Worsted weight Shetland yarns ! Her instructions are very clear & so easy to understand, a very talented lady ! Patterns are included as a knit-along to the vid & in text form when you click on her links. Hat of the month for July 2014/the Little mermaid-Ariel hat. $7.00 per skein of 50 grams-170 yards. And i can tell you with confidence this yarn does NOT shed.....the angora rabbit fibre's are almost 4'' inches long & the Shetland wool has lots of crimp so it really grips the angora fibre ! 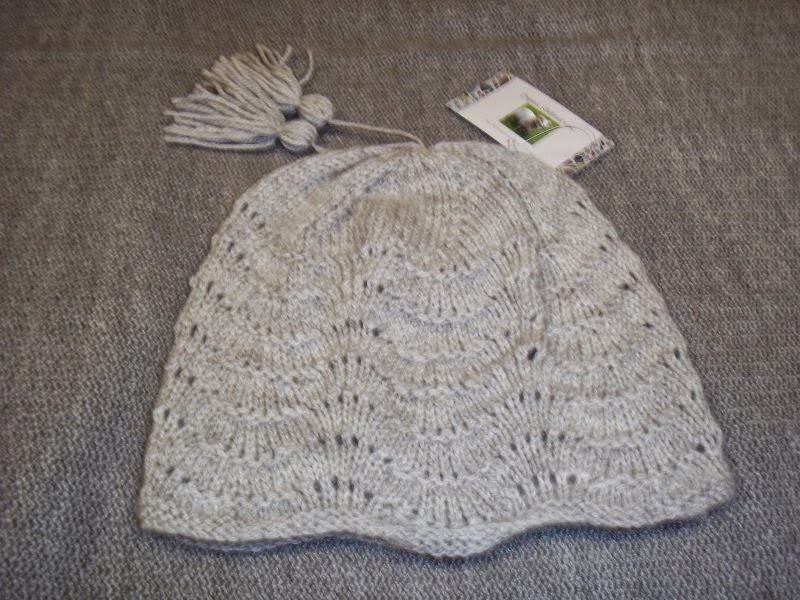 The other hat I just completed is her Bridge to Terabithia/Maybelle hat with lovely lacy Diamonds. 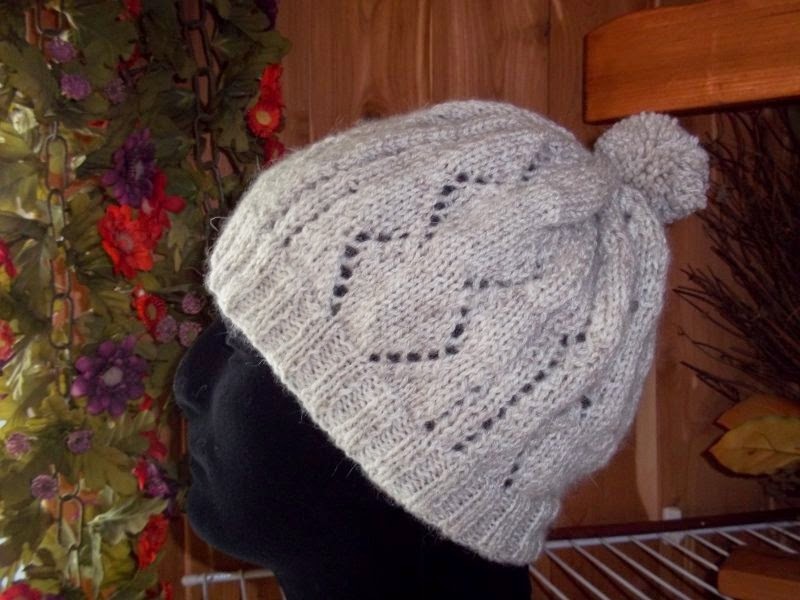 Just love how it turned out.....sure to be another favourite go to hat for Fall ! will have this yarn for sale at www.festivaltwist.org later this month ! The yarn on the Left is the Choco halo. Have not had a chance to knit with it yet but it sure is soft & i would love to make some socks from it. open to knitters/crocheters world wide. I really like both but having to pick only one I would prefer Musket Shetland Halo. I love the Chocolate Fawn. The hats are very cute. I really like the hats. I'm drawn to the Musket Shetland Halo. 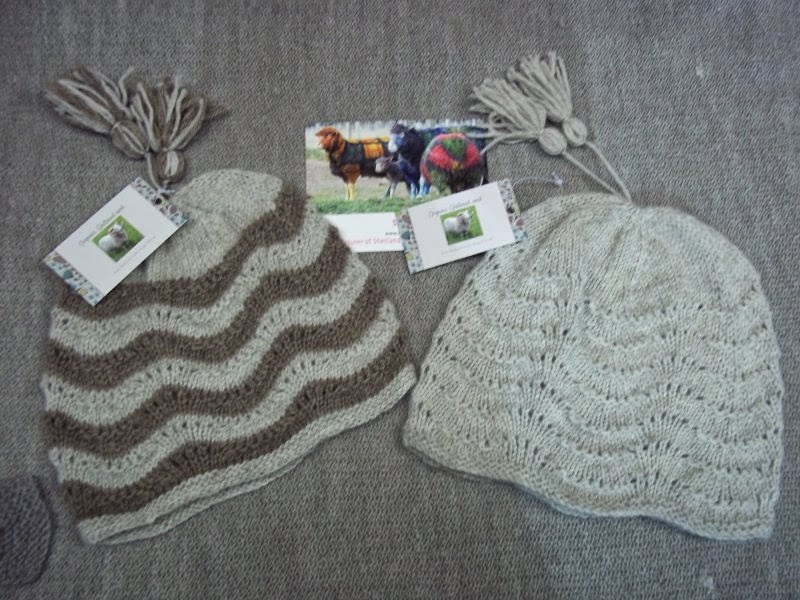 Jess, you won the yarn to make one of the wool hats....pls contact me with your details ! How can I contact you to give you my details? The Chocolate Fawn looks scrumptious. I love the tassels on the Ariel hat. I like both colors, but would probably wear musket more. Thanks! Both colors are beautiful, but because my daughter's a redhead and looks gorgeous in brown, Chocolate Fawn is my choice. Great giveaway, thank you so much! I love both colours equally, but since we have to choose . . . I choose Chocolate Fawn! 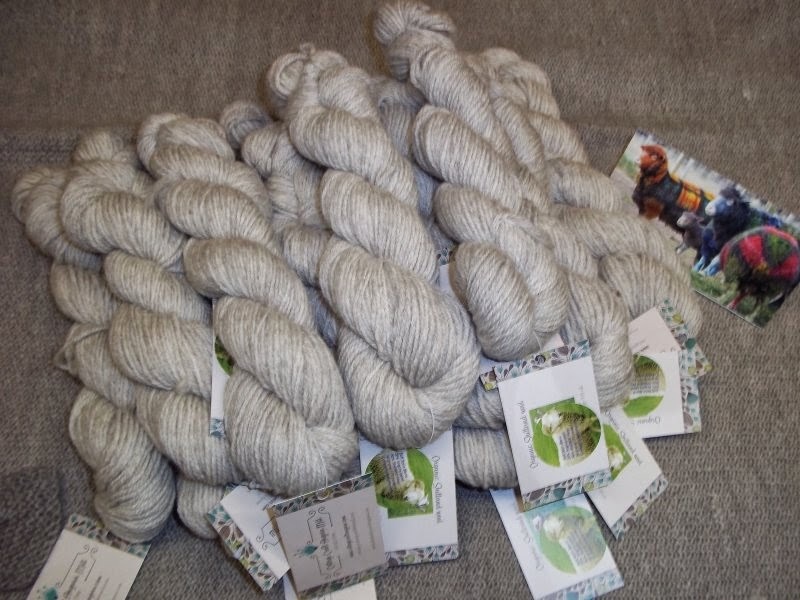 The blend of Shetland with Angora sounds divine and I wish I could go to Twist to squish them, but it was not meant to be this year. Perhaps next year. I used to spend lots of time up around Lac Simon at a friend's cottage. Summers on the lake at the beach, water-skiing in summer, cross country skiing in the winter, camping in Papineau-Labelle, and all sorts of other outdoor pursuits. Lots of great memories for me. I hope you have time to enjoy the area while you're there. It's a beautiful area, if you love nature. I love both colors, but if I have to choose, I'd like Halo more. Thank you for the chance! Those are gorgeous hats. I love the Chocolate Fawn colour. musket shetland halo for me :) Gorgeous yarn and fabulous pattern! Thanks for hosting another wonderful giveaway. I think I would go with the Chocolate Fawn on this one. It looks like it would match up to a pair of boots I bought at the end of last winter season. But hey..they are both so beautiful! Hi there, your name was drawn 2nd, pls send me your details so i can mail your yarn ! The Saxon Braided Brim Hat is my favorite - and I think it would be stunning in Musket with a Chocolate Fawn braid (love 2-color cabling!). This yarn is so beautiful. I would be thrilled with either color. Wow, hard choice. Either would be great but I think choco-halo would be a better color for me. No way I'm giving that beauty away lol. Lovely hats! The halo would look beautiful with my girls' dark hair! 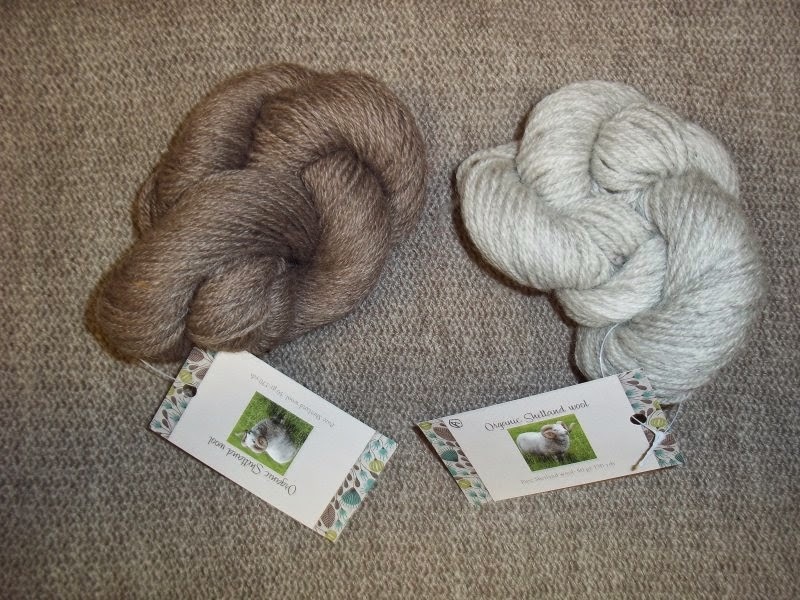 Musket Shetland Halo is the one I like more but they are both lovely! Oh, I am torn. I do not normally choose browns, but the Chocolate Fawn is just beautiful. I think I would go for that and probably make the Rapunzel hat though I am unlikely to add the flowers. Chocolate Fawn!!! Please and thank you!